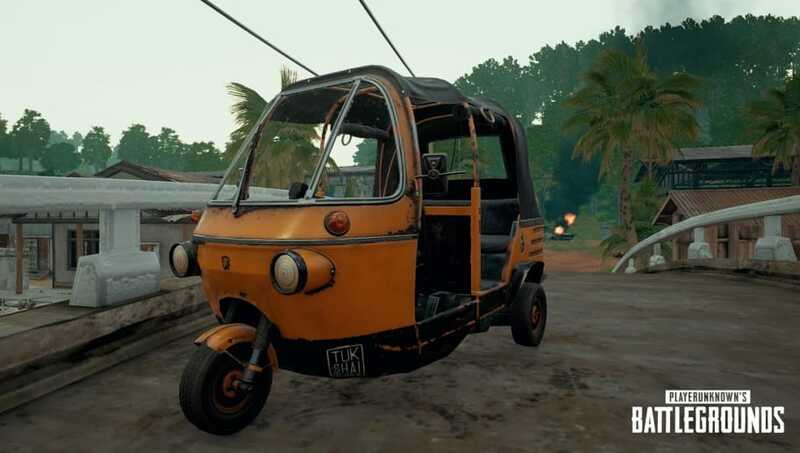 The Tukshai, a new vehicle exclusive to PLAYERUNKNOWN'S BATTLEGROUNDS Sanhok map, arrived in the game Wednesday in PUBG PC Patch 21. The Tukshai is a vehicle capable of carrying up to three passengers. It will replace the UAZ, Dacia and Minibus on Sanhok. Per PUBG Corp's description, what the Tukshai lacks in speed it makes up for in matching the environment of ​PUBG's jungle map. PUBG Corp first announced it was working on the Tukshai in May, when it shared an early, colorless model of the vehicle and its working name (the Tukshai) in a ​letter on the development of Sanhok. News of the Tukshai had been sparse since then despite its popularity among PUBG fans. The Tukshai arrived in PUBG Patch 21 alongside the new practice area and game mode ​Training Mode, the ​Mk47 Mutant assault rifle, a rework of the supply system and a new laser sight.